The traffic of ships through the Suez Canal, which declined for most of last year and the first months of the current month, showed positive dynamics in March and April 2017. The number of ships that crossed the canal in April 2017 increased by 4% compared to the same period last year and amounted to 1,449, while in March the growth was 4.8% yoy to 1,524. The highest growth rates were recorded in the bulk carrier segment, as the number of bulk carriers passing through the canal in April increased by 28%, while in March the growth was 22%. From the tonnage point of view, the traffic of bulk carriers through the channel increased by 33% in April and tankers by 15%, while the result in March reported growth by 16% and 16.6%, for bulk carriers and tankers respectively. The container carriers are a key segment demanding the transit through the channel. As a rule, a third of the ships passing through Suez are containerized. From the point of view of tonnage, their share exceeds half of all traffic. In April, 445 container ships passed through Suez, which is 2.3% more than last year’s figure, from tonnage point of view the growth was 9%. In March, the growth of container traffic was 0.2% in terms of the number of vessels, and 1.5% in terms of tonnage. However, at the end of June, the validity of the discounts introduced by the Canal Authority for container ships returning to Asia from the ports of the eastern coast of the United States expires. This might caught some change and deterioration of the traffic. 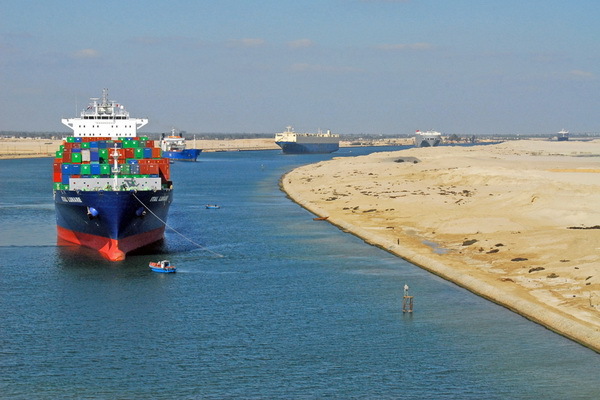 In March 2017, Suez Canal Authority reduced the fee for transit of ships by 30% to reverse the trend towards reorientation of ships to the route around the southern end of Africa, which became economically viable in conditions of low fuel prices and a record drop in freight rates. In June, on the eve of the opening of new locks of the Panama Canal, discounts were increased to 45-65%. In addition, a 40% discount was introduced for bulk carriers from South Africa to the Mediterranean and Black Sea ports, and 75% for ships coming from the ports of eastern and southern Australia to northern Europe. These discounts are valid until the end of 2017. Despite the discounts, the increase in the number of vessels and tonnage ensured the revenue growth of the channel’s administration in April and March by 4.1% yoy to 853.7 million USD. According to the results of 2016, the total number of vessels that passed through the Suez Canal fell from an annual 17,500 to 16,800. The decline continued in the first months of 2017: traffic for January-February amounted to 2,655 vessels, for the same period Last year – from 2,724.